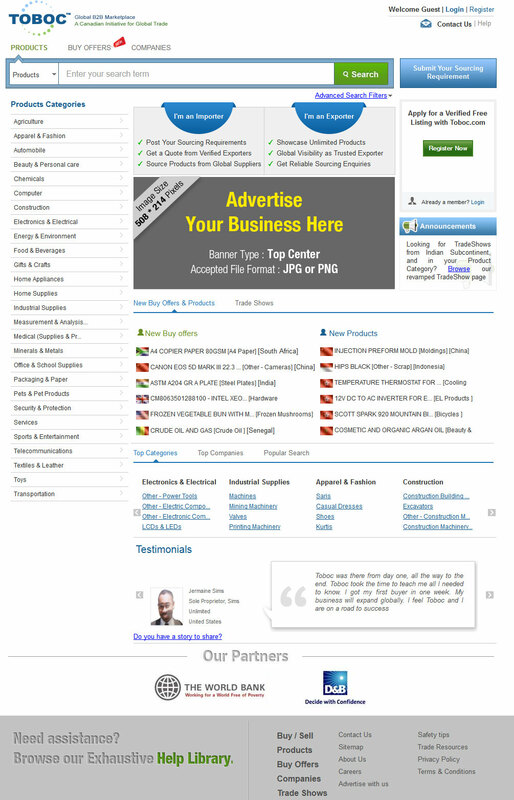 Banner advertisement on Toboc.com is an effective way for you to target potential customers, and promote new products and services to a targeted audience. Posting Banner ads on Toboc.com portal and Newsletter is one of the effective ways of reaching thousands of companies from all over the world. Note: All Banner Images should be in JPG or PNG format. 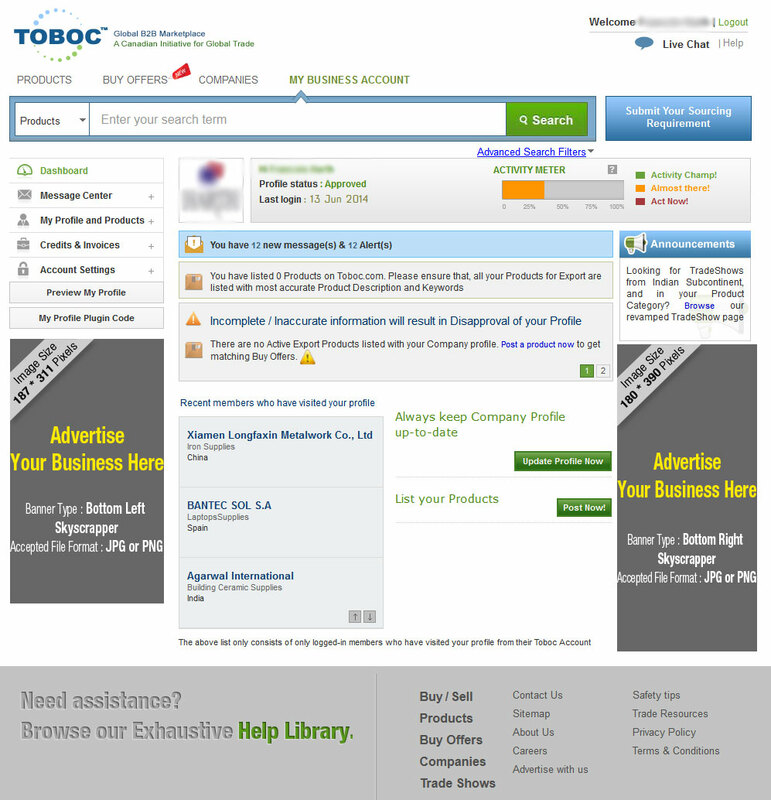 You can choose multiple locations on the Toboc's Products home page to advertise your banners. Please refer the image below which shows the various banner locations. 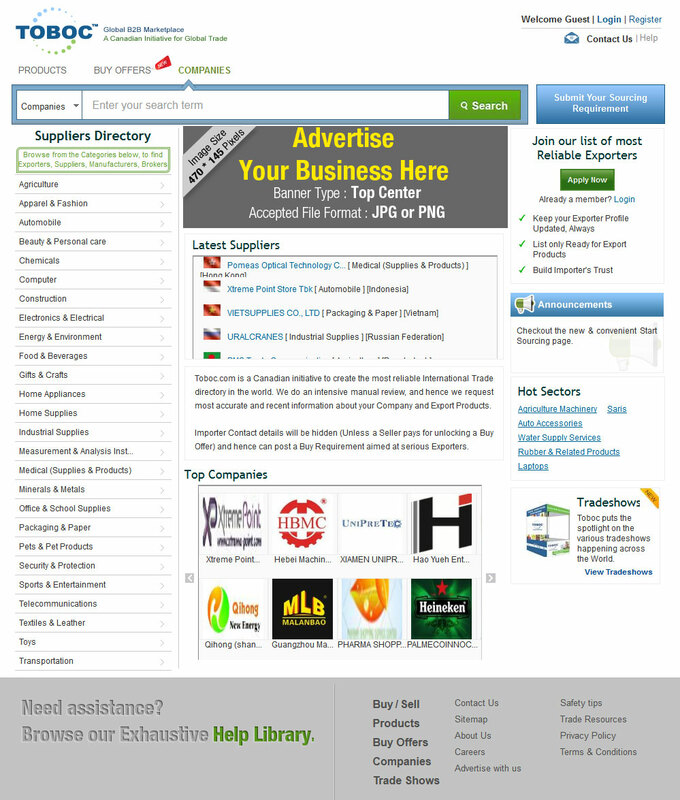 You can choose multiple locations on the Companies home page to advertise your banners. Please refer the image below which shows the various banner locations. 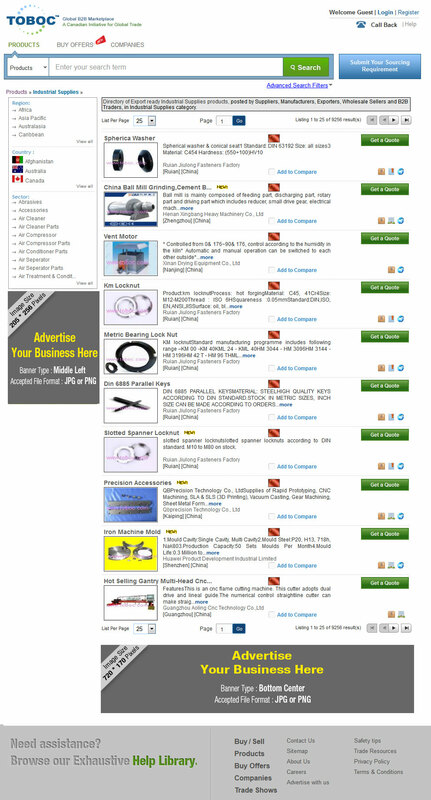 You can choose multiple locations on the Product Search Result Page to advertise your banners. Please refer the image below which shows the various banner locations. You can choose multiple locations on the My Business Account (MBA) Page to advertise your banners. Please refer the image below which shows the various banner locations.